"Important and ingenious . . . ought to be read by every educated person." --The Spectator. 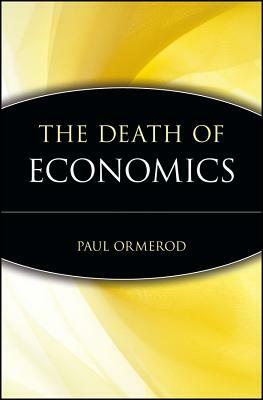 Renowned British economist Paul Ormerod explodes current economic theory to offer a radical new framework for understanding how human societies and economies really operate. His bold and impassioned arguments about how and why economics should be recast to reflect the current ills of Western society --including unemployment, crime, and poverty --are both persuasive and controversial. Integrating ideas from biology, physics, artificial intelligence, and the behavioral sciences, Ormerod's groundbreaking approach is sure to have far-reaching repercussions. "A vigorous, informed, and thoughtful critique of the dismal science." --Kirkus Reviews. "Economics has some battles to fight. . . . Unless economists improve their ability to analyze and prescribe in an intelligent way, and to provide a modicum of accuracy in their forecasts, the twentieth-century pseudoscience of economics will become a twenty-first-century museum piece." --Sunday Times (London).